logistics, transportation and lodging to support Suncor’s operations. 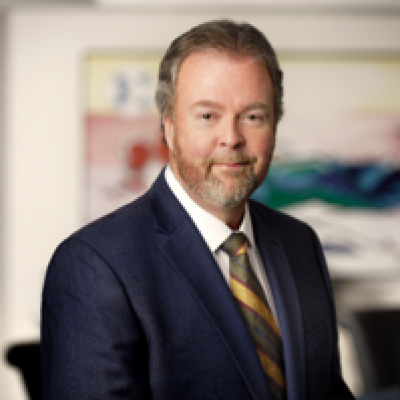 Howard has had a long and successful career with Suncor. He joined the company (Petro-Canada) in 1998, helping progress the downstream business including marketing and sales. Howard has held a variety of senior leadership positions throughout his career including Senior Director, Convenience Retailing; General Manager, Retail/Wholesale – Central Region; General Manager, Direct Sales; and Senior Director of Lubricants Marketing. Howard was promoted to the Vice President Marketing in 2009 and oversaw the development and execution of the company’s long-term marketing and sales strategies for the company’s wholesale and retail business. In 2011, Howard took the role as Vice President Lubricants and was instrumental in negotiating the $1.1 billion sale of the lubricants business and subsequent transition to its new owners, Holly Frontier. Prior to joining Petro-Canada, Howard had a 15 year career in the food retail industry with the Oshawa Food Group (Sobeys). He had a variety of operational and strategic roles with the company in Alberta and Ontario. Howard holds a degree in Business Administration and Commerce from the University of Alberta and has attended personal development courses at Ivey School of Business and Harvard University. Howard is very passionate and committed to volunteering and serving his community. He was recently the Chairman of the Board for the Community Foundation of Mississauga from 2015 – 2017, prior to moving to Calgary. He continues to be active with local community charities including the United Way.